In addition to poor education, medical care is one of the main problems of everyday life in Northern Ghana. For a long time, serious illnesses could not be treated on the spot, but only after hours of traveling to hospitals. 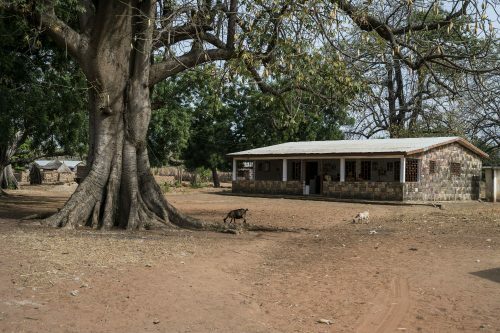 In 2008, when BRAVEAURORA began working in Guabuliga, their infirmary was staffed only once a month – meanwhile four nurses are permanently working on-site for the villagers of Guabuliga and the people from the surrounding villages.